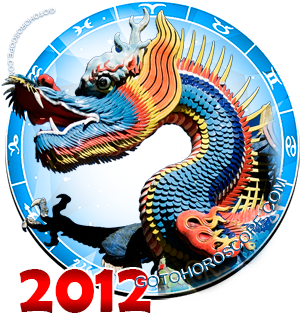 October 2012 Horoscope Leo, free Monthly Horoscope for October 2012 and Leo Astrology Forecast for the month ahead. You need to look for an upturn in your finances during October, Leo which is definitely due, and that could come from a very surprising source. Be honest and do not hide anything from those who care for you and can help you in times of need. Work hard and take projects and shifts that are offered. Make savings and organizing your finances a priority during October. Avoid large purchases that can drain your bank account. Relationships are difficult in October and Leo you are still searching for someone to make you supremely happy; it may come in the form of a new love or you may regain ties with someone from your past. It is difficult to know. Be ready, but be cautious. . Make sure you are heard by friends and family in regards to your own personal matters. Be open and develop trust with those around you. Leo you must temper your attitude and begin to feel again. It is all up to you. There is a good possibility of something wonderful happening during October. This may be meeting someone who will make your life much easier. Don't be stubborn, go with the flow. 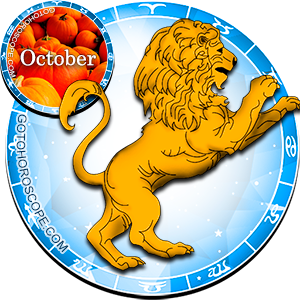 Leo, October is a social month and your life will be revived with the reemergence of people from your past. You will also make and develop good friendships that will last a lifetime. Strange as it may seem, avoid open windows this month. Relish in the coolness of October by eating well and taking care of your physical body and spiritual awareness. Good advice Leo is for you to find the balance between your personal life and business concerns. Keep your health high and eat well. It might be well to "kick leaves this month." You career is taking off and you are making friends that could take you far. Look toward education possibilities and take the "bull" by the horns. It is very important that you guard your reputation this month as far as work situations. What you do in October could make your break your future plans. Leo wants so much to believe that everything will work out well - that it will be automatic and no work will be required to make situations come to pass. Nothing is guaranteed and nothing is automatic. Know that situations can be good but you must create balance in your life, relationships, work and business. Not everything will be particularly easy for Leo, but if you work at it will be worth the effort. October is the time to start. October is a month to ask for help if you need it. Speak with someone you trust about personal issues and problems; there is always help. You feel befuddled about everything and especially when new experiences will come your way this month. New experiences are great! 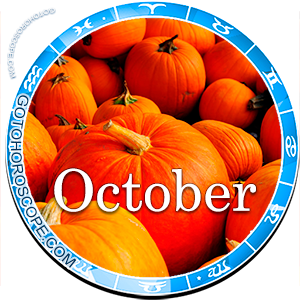 During the middle of October Leo needs to make positive changes and initiate new situations. One of your new experiences may simply walk up to your door. Do conserve your energy towards the end of October, Leo must be conservative and compromise with others during October.